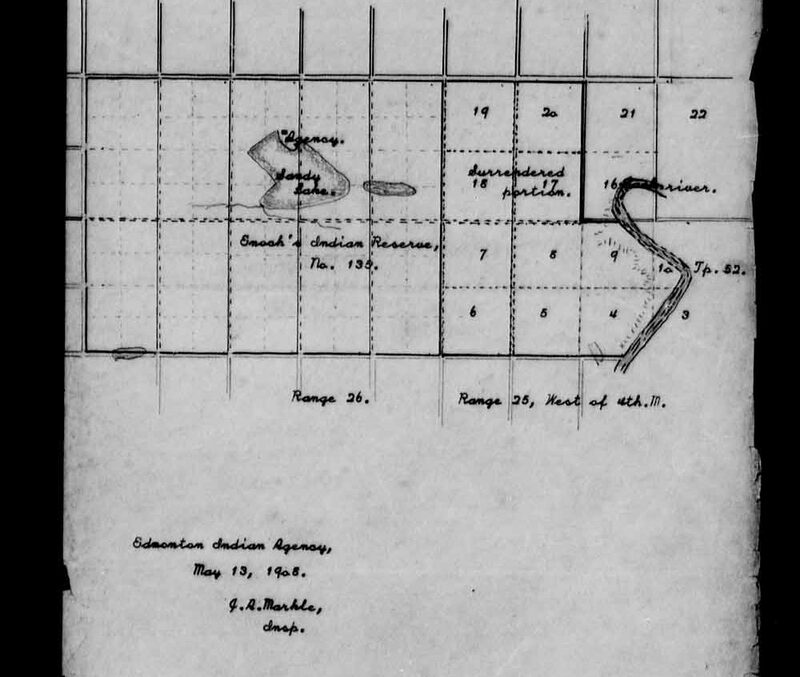 In its initial state, Chief Lapotac’s reserve, later known as Stony Plain Indian Reserve and finally Enoch Cree Nation, would be approximately 44 square miles or 44 sections of land. The reserve encompassed a land base that stretched from present day Acheson, closer to Spruce Grove, then the banks of the North Saskatchewan River on its South East Corner. The first significant surrender took place on January 20, 1902 in which twelve sections of the Northern portion of the reserve were surrendered and taken up for settlement. The sale of these lands attracted many purchasers including McDougall and Secord among others. In subsequent discussions, obligations and payment to Enoch would be questioned when the government approached with another request for surrender.